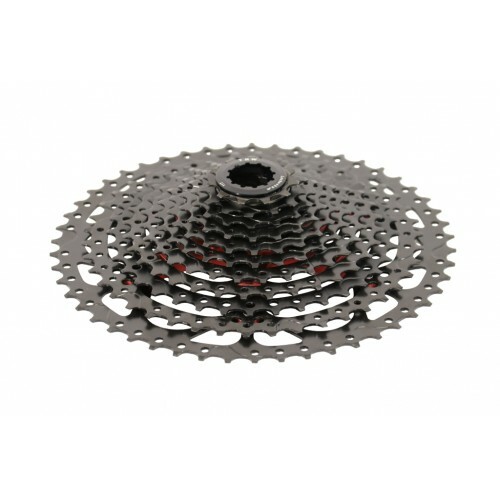 The TRW3 11-50t 11 Speed Cassette features 11 steel cogs riding on dual alloy carriers. This produces a lighter and stronger cassette where parts can be replaced if they become damaged without having to throw away the entire cassette. The cogs are forged and ramped for precise shifting, and spacing is tightly controlled between the cogs. The cogs are then surface treated with a hard coating to resist wear. The cassette is designed to fit on a standard freehub body for an easy upgrade without having to change wheelsets. o 11-50t & 11-52t cassettes feature tooth ratios for optimal gear selection. 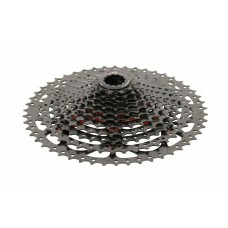 o 11-50t or 11-52t gives you the gear range you need in a 1x drivetrain. o Featuring hybrid alloy & steel cogs riding on dual alloy carriers. o Fully ramped for precise shifting up and down the cogs. o Fits a standard 9/10/11 speed freehub body (not an XD driver). o Compatible with Shimano & SRAM 11 speed components (rear Shimano derailleur will require an extender, longer B tension screw, and large pulley kit). 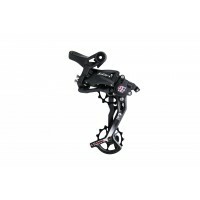 The TRW2 11 speed rear trigger shifter is a lightweight and ergonomic shifting unit. It features an .. 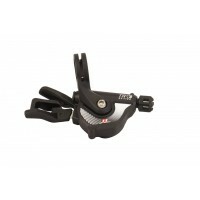 The TRW2 SRX wide range rear derailleur is a high strength accurate gear changer featuring an adjust..
TRW2 11 Speed HD Chain. 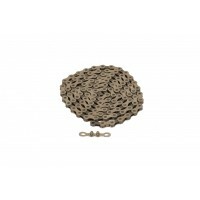 Made from high strength steel and surface coated to reduce wear. Designed fo.. 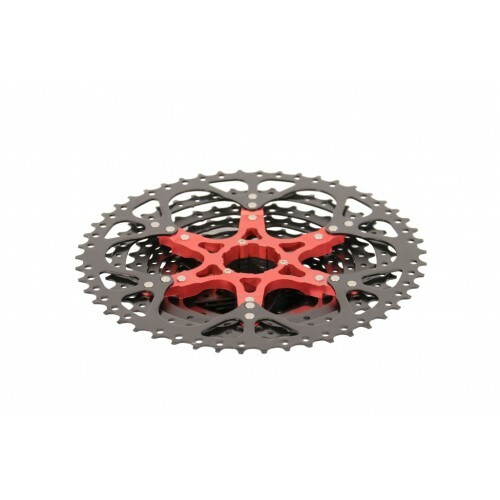 The TRW2 1x11 speed groupset is a complete mountain bike drivetrain, including shifter, deraill.. 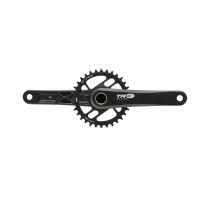 The TRW2 LW Crankset is a modern 1x crank featuring a direct mount chainring and adjustable tension .. 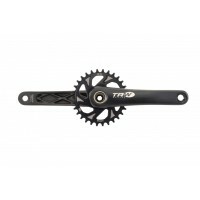 The TRW2 HD Crankset is a modern 1x crank featuring a direct mount chainring and adjustable tension ..
TRW2 11 Speed LW Chain. Made from high strength steel and surface coated to reduce wear. Lightweight.. 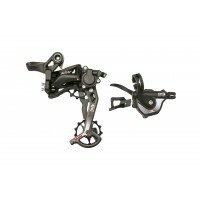 The TRW2 1x11 speed shifter and derailleur set includes a rear trigger shifter and rear wide ra.. 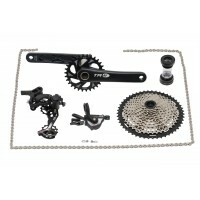 The TRW2 1x11 speed mini-groupset is a 3 piece mountain bike drivetrain, including shifter, der..